The musical album of Mersal was released two days back, on the 20th of August. The tracklist had four songs composed by A.R.Rahman featuring various singers. 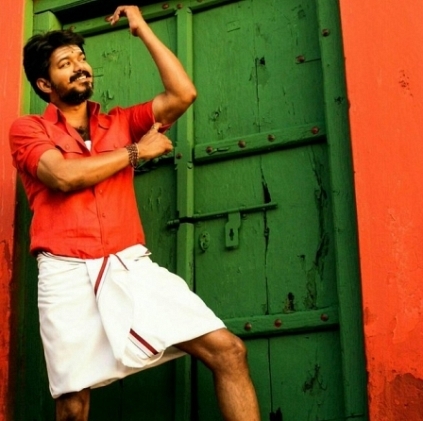 Mersal is the first ever Vijay film to have only 4 songs on the album. The earlier lowest was 5, which was a regular figure in Kollywood. Just four songs in a Vijay film is something that is very interesting and new. This would also help the film's core plot to move smoothly without any song deviations. Vijay Sethupathi's Puriyaatha Puthir gets a solid backing! Mersal is not alone! 2 promising movies join the Diwali race! Vijay Milton’s Goli Soda 2 gets done with Basketball and now moves onto..
Dulquer Salmaan’s ‘Solo’ songs review! Shocking video: After seeing Annabelle, 20 year old woman screams and punches herself in a mall! SJ Suryah Talks About Vijay’s Mersal And About His Other Releases. Vijay’s Mersal Might Not Have Him Playing Three Different Roles.